No we don't actually live in Sleeping Beauty Castle at Hong Kong Disneyland, but we did spend a month at the Disney Explorers Lodge while waiting for our household goods to arrive in Hong Kong! 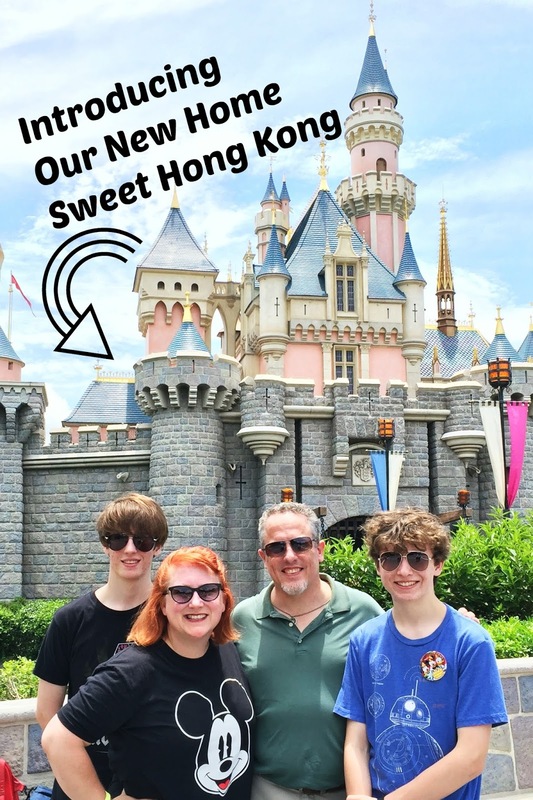 My husband immediately began work on some of the exciting expansions coming to Hong Kong Disneyland and the boys and I enjoyed summer to its fullest (spoiler alert, today was the third day of school so buh-bye summer!). We are all settled into our new flat, the last two boxes were unpacked yesterday (record time!) though we are still figuring out where to put everything... Our home in Shanghai was twice the size (and half the price) as our home here in Hong Kong. That's what you get when you live in a tiny country where the only way to get more space is to build straight up into the sky! Our flat is actually pretty big by Hong Kong standards to be honest. We live on one of the islands where there is some room to breathe and we have the South China Sea as our front yard and a mountain as our back yard. I love it so much. And don't worry, I'll be sharing more about our new home shortly. The wonderful thing about being out of Mainland China is my blog isn't censored and I can actually access it super easily! Now I just need to sit down and fill it with content. Oh, but I do wish I could hug it... it's like an old friend I've not seen in a long time! If you're still here, thanks for hanging out long enough for me to get back to My Wandering Life. I've got some great things in store so just hang in there a little bit longer, okay? PS, good to see you!